An intense program in fundamental earth assessment principles and the practice of earth testing. Participants will develop an understanding of the science and mechanisms of assessing earthing systems, and put into practice the skills associated with testing and the interpretation of test results. Provide participants with the knowledge and skills necessary to test and manage earthing systems associated with the electricity supply infrastructure and industrial installations. Address practical aspects of resistivity testing. Discuss the installation and maintenance of earthing systems. Address the safety aspects of operational safety earthing. 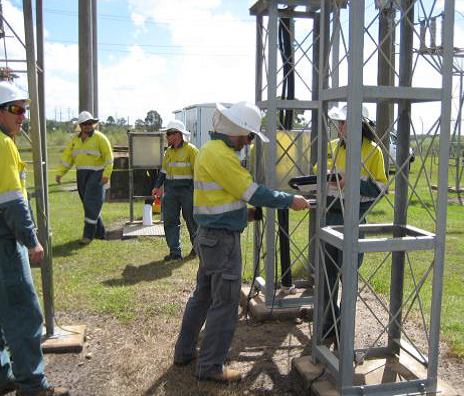 Provide practical testing of a major substation or a suitable site. This in depth course is designed for those responsible for power system or other assets that rely on earthing systems for their safe and correct operation. It is relevant for all industries and all sites that include high voltage substations and power systems. A solid background in electrical engineering is essential. morning and afternoon tea and lunches for the three days. To apply for a place on this course, please click Apply Now below and complete the form. Successful applicants will be offered a placement and issued an invoice for the course fee, which must be paid in full to reserve position.